Physicians have a lot of hurdles to clear in order to get into practice and also to stay in practice. It is no easy feat; and not many even attempt it. 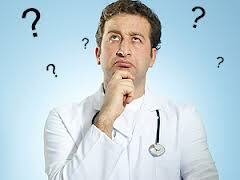 So why then is it that many physicians find themselves feeling overworked and undersupported? Why is it that they love their profession, but find their “job” grinding them down? Runners know they cannot run a marathon like a 100 yard dash. And sprinters know there is a limit to how many successive 100 yard dashes they can run. There are two little secrets about business that many physicians have not been taught. The first is this: businesses are like sharks. If they are not swimming forward and growing, they are dying. Staying stagnant is not a sustainable option in the business world. The second is this: if there is no exit strategy, it’s just a job. It may be a good job, a satisfying one, but that the end of the day, the doctor will have given far more to it than vice versa. At the end of the day, physicians must be as invested in caring for themselves as they are in caring for others. And getting good advice is critical to ensuring that the give and take is more balanced and that a doctor can enjoy practicing as long as he or she wants.